The HTC One M8 became official two days ago, and HTC's been having more than its share of headlines among mobile tech sites ever since. Want a break? Tough. 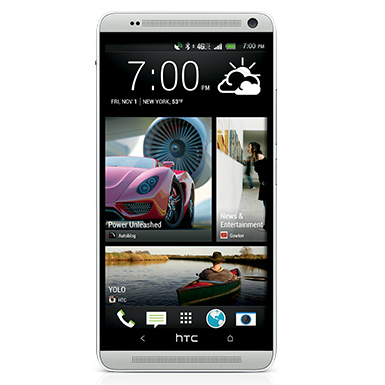 Here's KitKat for the Sprint HTC One Max. 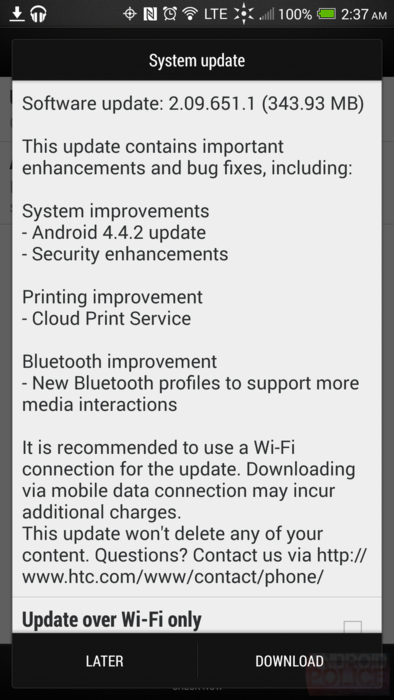 OTA software updates are currently rolling out to users, bumping them up to software version 2.09.651.1. The update provides the HTC One Max with Android 4.4.2 and contains the goodies that come with it. This includes security enhancements, Google's Cloud Print service, and some Bluetooth improvements. That green battery icon? Max owners can finally kiss that goodbye. The full update is a 343.93 MB download, so you might want to grab some Wi-Fi beforehand.